This AUP governs the use of Mambo Microsystems Limited’s web hosting service. Violation of this AUP may result in suspension or termination of your service. In the event of a dispute between you and Mambo Microsystems Limited regarding the interpretation of this AUP, Mambo Microsystems Limited’s interpretation, in its reasonable commercial judgment, shall govern. The following is the entire Acceptable User Policy (‘AUP’) agreement between Mambo Microsystems Limited and the personal or corporate account holder. Mambo Microsystems Limited provides World Wide Web Hosting, web design and script installation. Mambo Microsystems Limited has certain legal and ethical responsibilities consisting with the use of its servers and equipment involved in these services. Mambo Microsystems Limited’s general policy is to act as a provider of Internet presence. Mambo Microsystems Limited reserves the rights to suspend or cancel a customer’s access to any or all services provided by Mambo Microsystems Limited when we decide that the account has been inappropriately used. Mambo Microsystems Limited is designed to serve the web hosting needs of small, independently owned and operated businesses in a single country. It is not appropriate to use our services to support large enterprises or internationally based businesses with a sustained demand that places undue burden on our systems or negatively impacts use by small, independently owned and operated businesses. Mambo Microsystems Limited is a shared web hosting service, which means that a number of customers’ web sites and other email or storage services are hosted from the same server. Mambo Microsystems Limited uses abuse controls to help ensure that use of our services does not adversely affect the performance of our system or other customers’ sites. It is not appropriate to use an account primarily as an online storage space or for archiving electronic files. You do not have to worry about hitting a storage limit if you use our services consistently with the terms of Service and our acceptable usage policy. Mambo Microsystems Limited will increase your space along with your appropriate small business needs, but our abuse controls may impact the rate of growth or your folder size, and there may be a short delay while we assess your usage. In some cases, creating additional folders or subfolders will help ensure that the system works well for everyone. You will always be allowed to use as much disk space is applied to your account. b )Content ‘published or transmitted’ via Mambo Microsystems Limited’s service includes Web content, e-mail, bulletin board postings, chat, and any other type of posting or transmission that relies on any Internet service provided by Mambo Microsystems Limited. 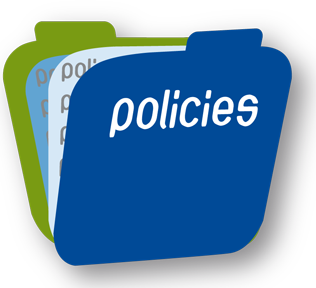 These policies apply to messages sent using your Mambo Microsystems Limited service, or to messages sent from any network by you or any person on your behalf that directly or indirectly refer the recipient to a site hosted via your Mambo Microsystems Limited service. In addition, you may not use a third party e-mail service that does not practice similar procedures for all its customers. You may not send any unsolicited e-mail, either in bulk or individually, to any person who has indicated that they do not wish to receive it. You must comply with the rules of any other network you access or participate in using your Mambo Microsystems Limited’s services. Mambo Microsystems Limited will terminate the service of repeat copyright infringers. You must have valid and current information on file with your domain name registrar for any domain hosted on the Mambo Microsystems Limited network. Mambo Microsystems Limited is under no duty, and does not by this AUP undertake a duty, to monitor or police our customers’ activities and disclaims any responsibility for any misuse of the Mambo Microsystems Limited network. e) Any conduct that is likely to result in retaliation against the Mambo Microsystems Limited network.